It’s hard to run out of things to do in Stockholm. From museums and art galleries, to great restaurants, parks and unusual city tours there is plenty to see and do in this great city. But if you have more time in the Swedish capital and want to explore the area around, you can try some unique day trips from Stockholm. Landsort has its own way of attracting visitors. 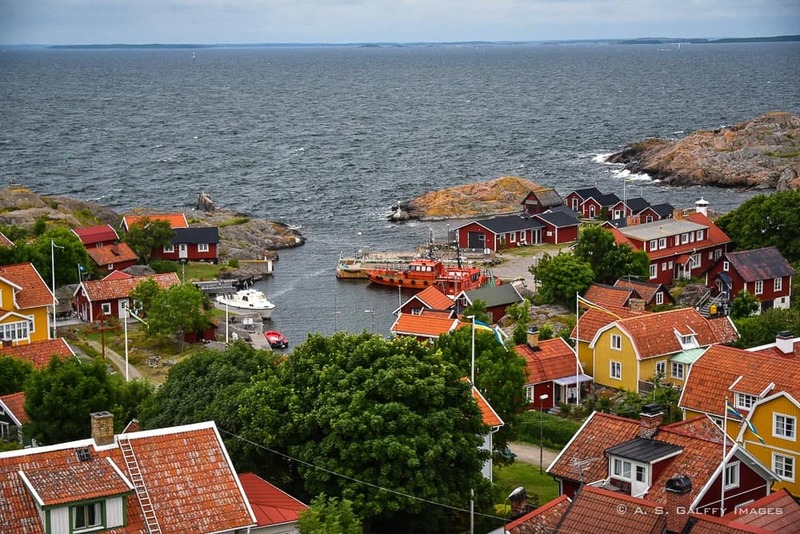 The remote little village nestled on the most southern island of the Stockholm Archipelago holds a lot of history. And it is also home to a very unique flora and fauna. But the most important attraction in Landsort is its beautiful lighthouse, which is the oldest one in Sweden. Landsort is about 60 kilometers south of Stockholm, on Öja island. To reach the island from Stockholm you need to take a boat from the town of Nynäshamn, where you can get by train or by bus. The boat ride takes about 40 minutes, but the total time from central Stockholm is nearly three hours. Visiting Landsort was one of our the best day trips from Stockholm. 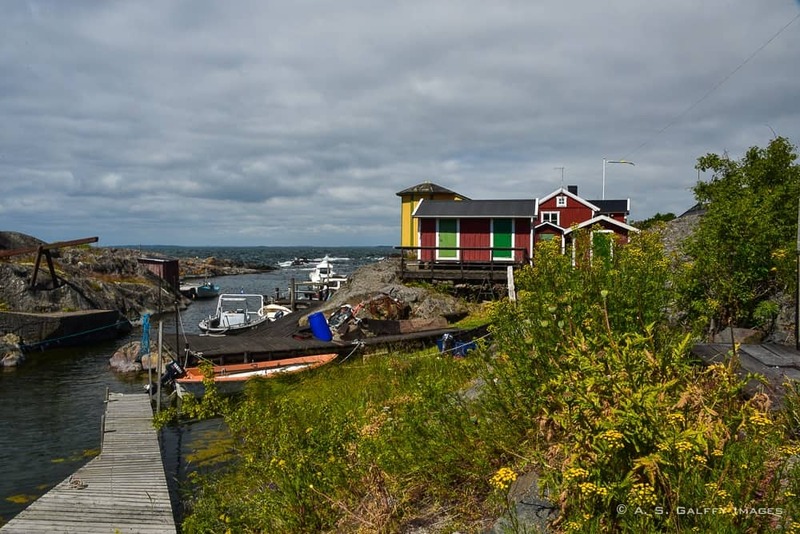 The village is located on Öja island, a long and narrow strip of land with a very unusual nature. Unlike any other island in the Archipelago, Öja has barren rocky areas that alternate with verdant vegetation. The northern part of the island is dense forest with shrubs. The southern part has swamps and marshes populated with rare species of orchids and other botanical rarities. Landsort’s current population is around thirty people. There is a number of vacation homes on the island, so during the summer months the number of inhabitants is considerably higher. Because of its strategic position at the at the inlet to Stockholm and Södertälje, Landsort has always played an important role in the defense of the Swedish coastline. During World War II and the Cold War, Landsort was a military base for the Swedish coastal artillery. The military establishment was closed in the year 200 and is now open to the public. The ferry will drop you off in the populated part of the island that features a café, a hostel, a store and a lighthouse, all within walking distance of each other. At first glance, Landsort doesn’t seem to be worth the effort. But as you continue your visit the island’s charming ambiance begins to capture your imagination. This strange yet beautiful piece of land lost amongst hundreds of other islands has an intriguing air of mystery. You feel like you arrived at the very end of the Earth, yet you are just a couple of hours away from Stockholm. As you walk through the serene village with little red houses, granite boulders and a wild coastline you get a sense of peace and tranquility. Time seems to have stopped here, since nobody worries about its passing. The first structure you’ll probably notice as you get off the boat is the tall square building of the communications tower, also called the Pilot Tower. 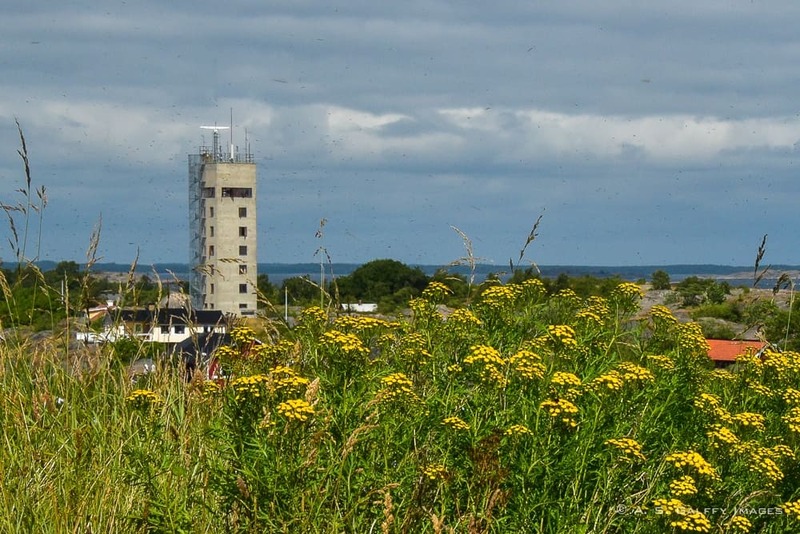 In recent years the Pilot Tower has been converted into a hostel that provides accommodations for those who want to spend a few days on the island. The rooms are rather modest, but offer the best view of the see and the island. On the top floor there is a small kitchenette for guests who want to cook their own meals. 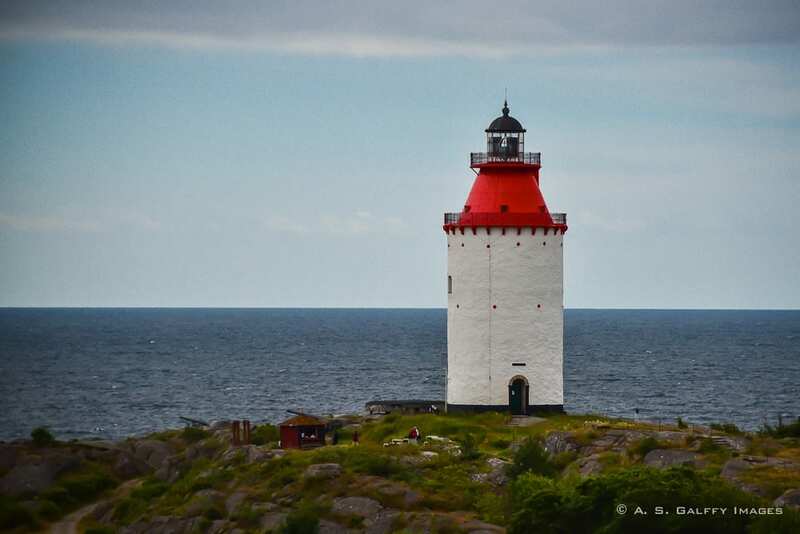 The next structure that will surely catch your eye is the iconic Landsort lighthouse, which the oldest one in Sweden. The original building was erected in the 1660s, but the current structure dates only from 1870. If you climb up to the top of the lighthouse you will be rewarded with a spectacular view of the island and the sea. Some of the most exciting day trips from Stockholm include the manor houses and castles in the beautiful region of Södermland. Julita Manor is a mansion like no other. 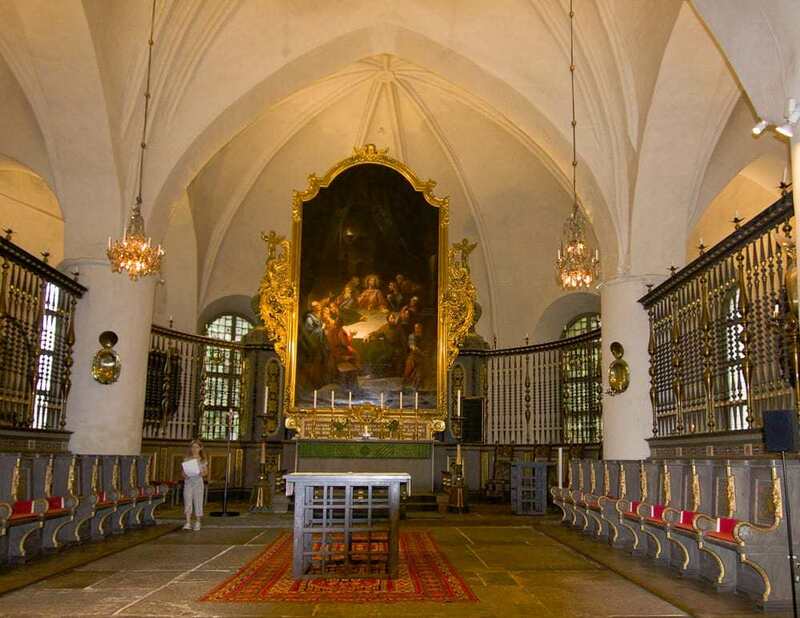 The estate started as a monastery in the Middle Ages (Julita Abbey) and continued to grow and receive big donations from the Swedish kings and other members of the aristocracy. But during the Protestant Reformation, King Gustav Vasa seized the abbey and gave its rights to his vassal, the bailiff in Nyköping. After becoming a secular domain, Julita changed hands many times between members of the Swedish nobility, but it never went back into the possession of the church. What sets Julita apart from all the other manor house in the region is that it’s still a working farm. Julita Manor still maintains all its original structures that insured its sustainability in the past. The beautiful country estate that you see today dates from the turn of the 20th century and has been preserved with all its elegant interiors and parks. And not only the manor and parks have been preserved, but also the church, the fire station, the barns, the mill, the kitchen garden, the green house and even the dairy building. It is for a good reason Julita Manor is considered Sweden’s largest open-air museum. The manor house itself was erected in 1760, after a fire destroyed an earlier structure on the site. Visiting Julita Manor is like stepping back in time into a world of luxury and elegance, a world long forgotten. The estate park and rustic cottages inspired by Skansen are particularly beautiful. One can easily spend the whole day at Julita, going inside all buildings, taking a horse drawn carriage tour through the park, visiting the church, the museum, the dairy. 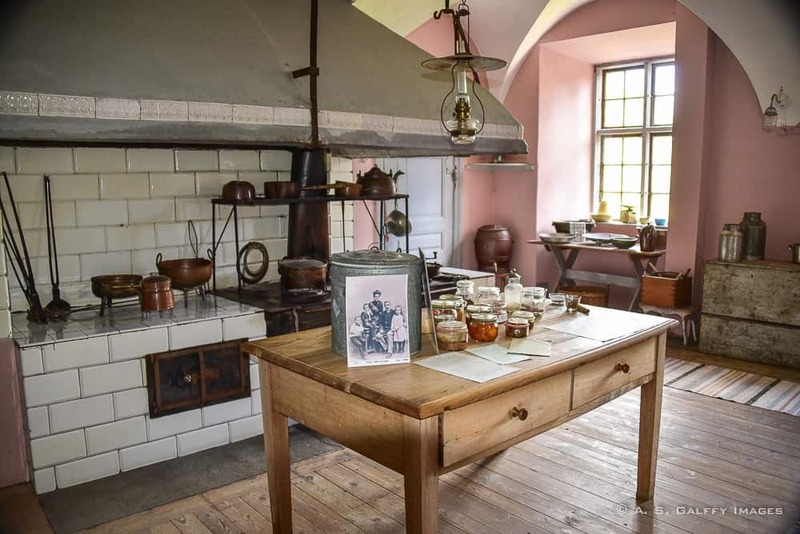 Even though today some of the structures on the estate have been turned into a museum, Julita Manor still functions as a farm with some 200 dairy cows, orchards, and vegetable gardens. Its grounds are part of the national gene bank for apples, pears, and other agricultural products. The country estate encompasses 360 buildings across 2,200 hectares. Julita hosts lots of events and festivals all year round. From Walpurgis Night, to Midsummer and Christmas Market you can experience old Swedish ceremonies celebrated in traditional style. In summer there is an International Chamber Music Festival, the Julita Festival, featuring classical concerts performed by young international musicians. There are also Theme Days that are arranged every year, such as Agriculture Day in June, or Apple Day in September. Locals often use the beautiful Skansen Church for weddings and christenings. Julita Manor makes a great day outing from the busy capital city. There is a small restaurant where you can enjoy a light lunch and a variety of pastries, cookies and sweets. At the Museum Shop next to the entrance you can find handicrafts, gift items, books, toys and other Swedish souvenirs. There is also a Garden Shop in the green-house that sells plants, gardening tools and fresh local apples. You can even order your own apple tree from the Julita Manor gardening team. Julita also offers overnight accommodations in the two wings of the manor house, or at the Youth Hostel. The beautiful region of Sörmland is home to many lavish and elegant estates, vestiges of a time when wealthy landowners controlled the agricultural production of Sweden. 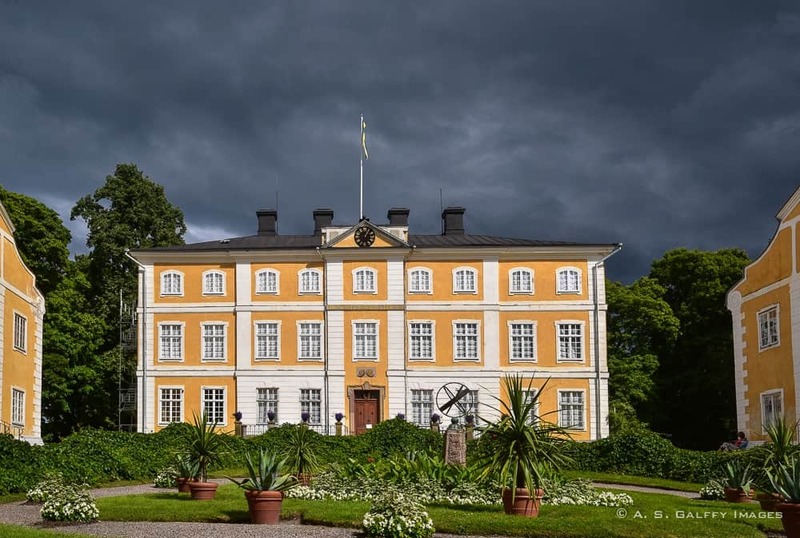 Set on the Swedish Baltic coast, about 80 km south of Stockholm, the Nynäs manor and nature reserve is the largest in the in the province of Södermanland. 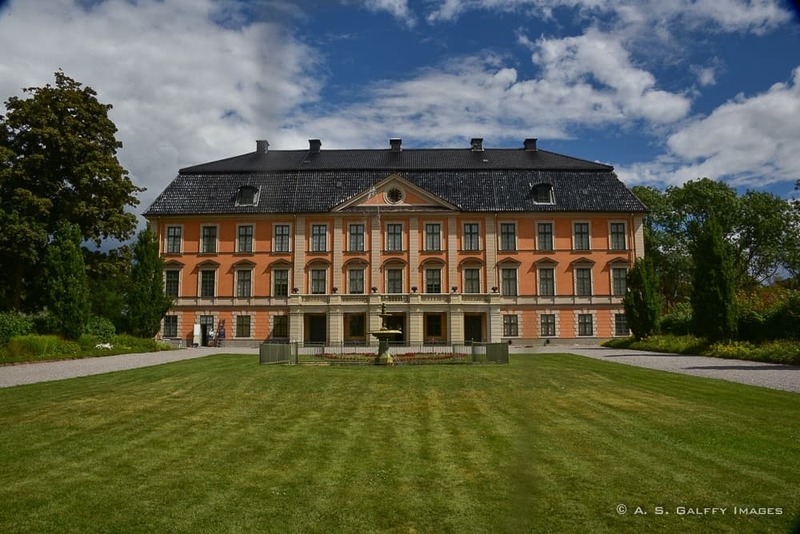 On a day trip from Stockholm you’ll have time to visit this beautiful estate that encompasses over 8000 acres. The manor house which was built in the late 17th century by the influential Gyllenstierna family, is considered today one of the best preserved historical houses open to the public in Sweden, still displaying the original art and furniture from more than three centuries ago. That is very valuable because it gives today’s visitor a good idea about the lifestyle of the Swedish aristocracy from the late 1600s up to the early 20th century. 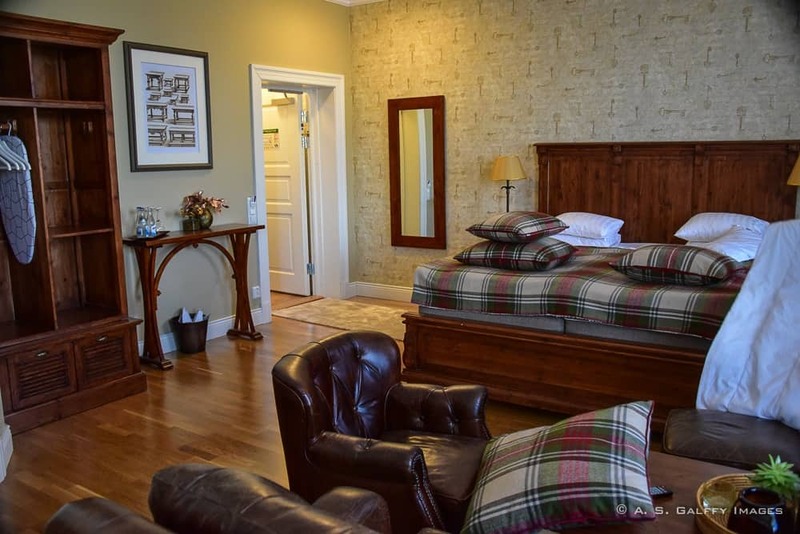 Although it is considered a “country home,” the house is quite luxuriously furnished. The place seems very much alive, leaving you with the feeling that it is still occupied by its owners. The main house was actually inhabited till the late 20th century, when it was sold to Sweden’s National Museum. The closets and cupboards are still full of textiles, cloths and glass sets. The manor’s owners kept the plumbing, gas and electricity up to date. However, the big kitchen escaped modernization. You can still see the old wood stoves and all the pots and pans used centuries ago. As you enter the estate, right next to the Visitor Center, there is an 18th century farmhouse that has been turned into a visitor’s center. Here you can buy tickets for the tours, rent bikes, or canoes for a trip on the nearby lake. Also next to the farmhouse, you can see several domestic animals, like pigs, goats and sheep. Some of the old buildings that have been used in the past by the craftsmen and workers on the estate are still standing today. The old distillery building serves today as a hostel for those interested in staying on the estate overnight. The castle’s conservatory (orangery) has been turned into a nice restaurant that serves both food and “fika.” During the summer months the terrace outside the orangery is open, so you enjoy the beautiful views of the estate while having lunch. There is also a nice flower/garden shop next to the restaurant. During the summer months the buildings of the manor house various temporary exhibitions that can be visited. 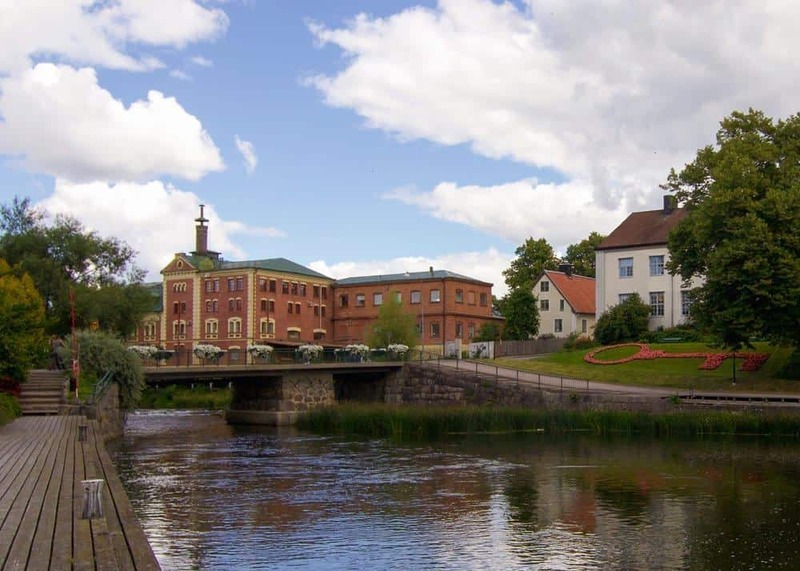 For a completely different kind of day tour from Stockholm you should go to Nyköping. 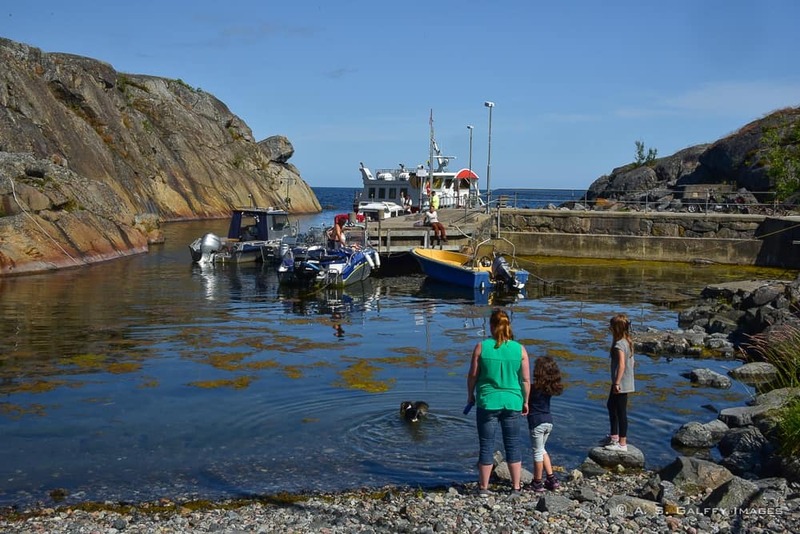 The small town is about an hour south of the capital, alongside the Swedish Baltic coast. Nyköping has a population of around 30,000, and its main industry is manufacturing. The town is really nice and is one of the oldest cities in Sweden. By car: driving south from Stockholm via E4 is probably the easiest way to get to Nyköping. By bus: there are several buses going from Stockholm to Nyköping, also via E4. Or by train: regional trains depart from Stockholm’s central station, taking around 1 hour to reach Norrköping. Strolling around the city center is probably the best thing to do in a town like Nyköping. The city center is where you will find the shops, the restaurants and some beautiful old buildings. Along the Main Street you will find the City Hall and the church of St. Nicolai, dating back to medieval times. 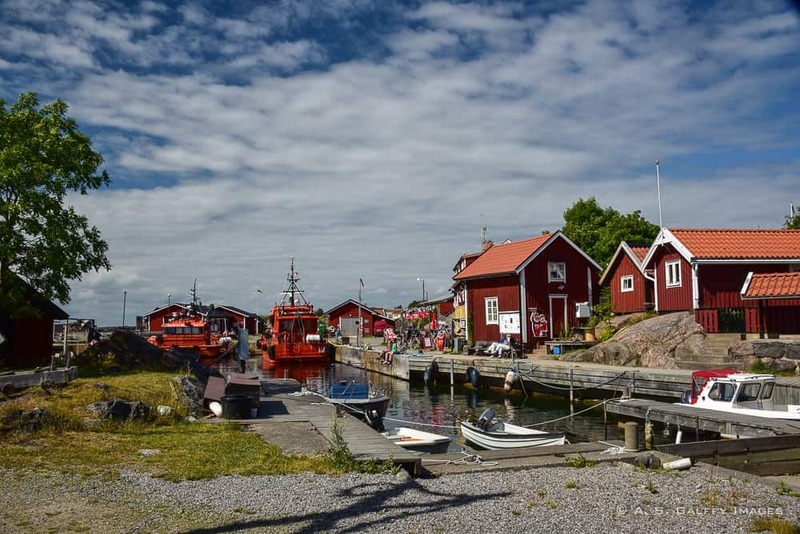 Another nice place for enjoying the town’s laid back atmosphere is the Nyköping Harbor. The area is not very big, but you can easily spend a couple of hours here enjoying the sea views. Given its proximity to the capital, Nyköping makes one of the easiest day trips from Stockholm. However, the town makes a nice base to explore the beautiful region of Södermanland. If you decide to spend a couple of days in Nyköping, my recommendation for lodging would be the Sunlight Hotel. Located just a short 5-minute walk from Nyköping Train Station and 10-minute drive from Stockholm-Skavsta Airport, the hotel is very accessible. This one-of-a-kind hotel is one of the most unique accommodations in which I ever stayed. Don’t let the small, unimpressive appearance fool you. The Sunlight Hotel was once and old soap factory. The only thing that betrays that however is its unusual floor plan. But the huge spaces have been cleverly turned into very attractive and useful areas, with comfortable and stylish furniture, oriental rugs, and appealing decor. Nyköping makes one of the best day trips from Stockholms. The town is only 55 mile away from the city, so it’s an easy outing. There is plenty of fun stuff to do and the area is unusually beautiful. If you want to get a glimpse of how the Vikings used to live, a day trip to Birka, on the island of Björkö, is your best bet. After a 2.5 hrs boat ride in the southern arcapeligo of Stockholm you will find yourself in a rough landscape where myth and legend meet. Birka was the biggest town in Scandinavia during the Viking age. The settlement was established in mid 8th century and is considered the oldest urban community in the Scandinavian peninsula. The highlight of a visit to Birka is taking a tour of the Viking Village. The tour lasts about 45 minutes and takes you inside traditional Viking homes and some old burial sites. You’ll learn about daily life in Viking times and about how the black soil of Birka helped the city to prosper. The museum on Birka is small but it has a huge model of a Viking village which shows hot the Vikings lived. There are also a few life size building reconstructions, craft areas and a fort. After the tour you can wander around in the fields and take pictures. Birka is perfect to visit on a sunny day. You spend roughly 3 – 3.5 hrs on the island before the boat takes you back to Stockholm. If you have time before the boat arrives, head to port restaurant for a hearty lunch overlooking the sea. Did you do any of these outings from Stockholm? What was your favorite one? This looks absolutely wonderful! I've not been to Scandinavia but my husband has and he loved it so I have a good chance in getting there when he returns. I haven't been to Sweden yet but I really hope to visit soon. Lansort village and Birka are definitely fascinating. Birka is 2.5hrs by boat? That's pretty far away! But I bet its an awesome place esp., to take the kids. The boat trip in itself is very beautiful, so I'm sure the kids will have lots of fun. 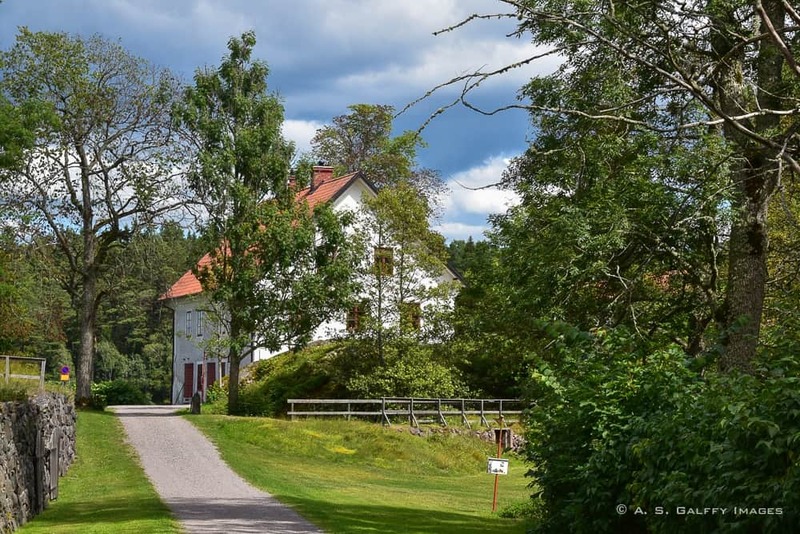 Wow, all day trips from Stockholm are worth with wonderful nature and beautiful houses. Landsort village with only 30 people looks relaxing and very peaceful. A must visit in summer from busy city life. Day Trip to Nynäs Manor &amp; Nature Reserve looks enchanting with lovely estates and grand Manor. I have never visited Stockholm before and I have to admit I didn’t know that there were so many interesting day trips to take from the capital. The Nynäs Manor look fascinating. Visiting Stockholm and Sweden wasn’t really high on my bucket list but this post just pushed it up a few places 🙂 Thank you for sharing. I haven't been to Sweden yet. The day trips from Stockholm sound quite interesting. I'd like to visit the Nynäs Manor estate. The original kitchen looks amazing. Hope you'll get to visit Stockholm someday, Rhonda. Even though I am guilty of not doing this previously, now, whenever I travel to a new place, I make it a point to check out some of the day-trips that let me explore the surrounding areas. Stockholm is quite high on my travel list, and I would especially love to visit Landsort Village. It looks ideal for some peaceful introspection. As an amateur photographer, the island does come across as quaint and would make for a lovely subject. I can't believe Landsort has a population of 30 people! I've never heard of such a small population. Julita manor looks absolutely gorgeous, but I also love that it is a fully functioning farm! There is so much to do outside Stockholm. The Manor Houses looked amazing. I was interested to learn more about the Sunlight Hotel once being used as the Sunlight soap factory. Thanks for sharing. We're visiting Stockholm this summer, and I'm just starting to plan our activities. I love your suggestions for day trips from the city! Both Julita Manor and Nynäs Manor look so beautiful - I bet I could spend an entire day visiting either. Thanks for the great ideas! We spent a few days in Stockholm in 2017 and loved the city. I had planned to do some day trips but in the end we didn't leave the city. I love your suggestions of places to visit, especially Landsort and Nyköping. Sweden looks like such an inviting place. There are so many places to visit here. Thanks to this post I now have a clear idea what needs to be seen and how. I love lighthouses and the Landsort lighthouse looks so beautiful. I've not been to Scandinavia yet, so I had no idea of what to expect. 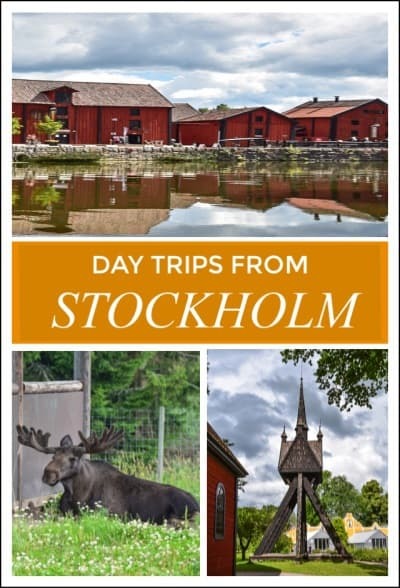 Great idea to take day trips to explore the countryside around Stockholm. I would love to explore more of the region's Viking heritage. It's so interesting. 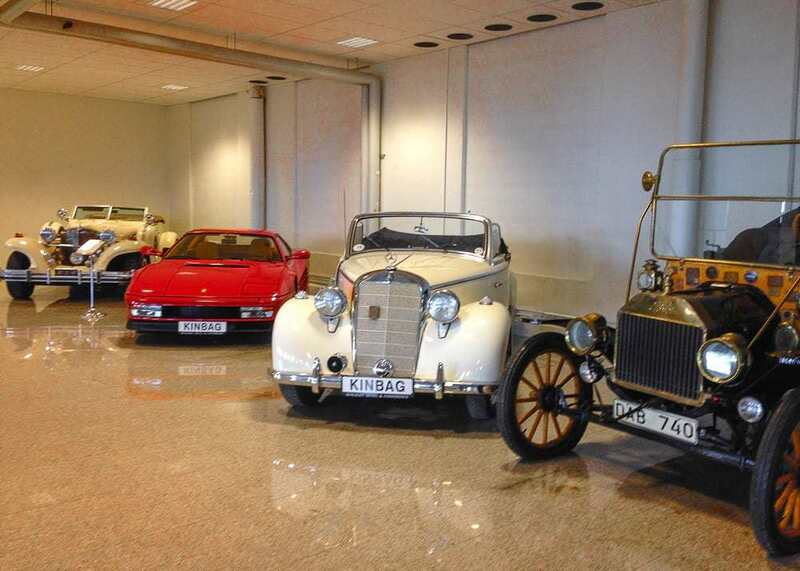 However, I'm left with one puzzling question after reading your article: How did they get all those cars up to the third floor?! Don't forget this was a soap factory before being a hotel. The building had huge corridors and elevators. Being a factory I'm sure they had huge machines for making soap as well, so when they took those out, it was easy to replace them with a few cars.